We biked to the theater to watch a movie late at night. We didn’t like to watch musical play and movie. 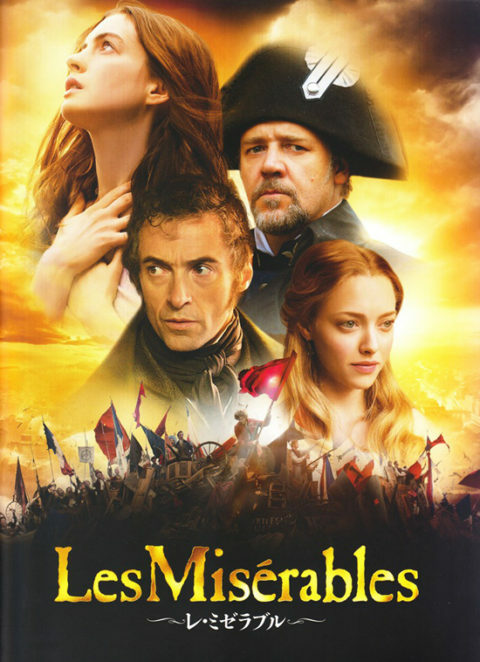 But this “Les miserables” was awesome. As a result, I think singing in the play amplifies the emotion and the audience could get the character’s sympathy more than a usual lines and draw audience into the story. The characters sing out their internal emotions at many scenes during the story and these scenes are the highlights of the film, but these might sounds idly if they just saying in usual lines. The film consist of the people who are always singing (Which annoyed me before…) made us insensible for they are singing not speaking, we sang each other just after watching the film and made us feel unnatural that people on the outside of the theater just “talking” to each other not “singing” to each other… This is just kidding but the film was great as I’d like to say so and make us feel that we’d like to watch musical play in theater next time! In our life, sometimes we devote ourselves into something which we never mentioned before after the long time of no interest. Is this musical play might be one of them as well? We surprised about our change of the sense of value in few hours and at the same time we thank to this meeting that could know the new way of enjoying life! !